The Democrats are promising to make gun control a top priority as they are set to assume the majority in the House of Representatives. Some Democrats are even showing their true colors by foolishly stating that the government would use nukes on people refusing to comply with their gun confiscation mandates. While we can safely assume (hopefully anyway) that Representative Swalwell wouldn’t take out an entire state because people refused to surrender their constitutional rights, which he is sworn to uphold and protect incidentally, we shouldn’t assume our gun rights are safe just because Donald Trump is in the White House. Among the many other sweeping reforms the Democrats plan to push, such as a ban on high capacity magazines are the passage of the so-called Red Flag gun laws on the national level. So far, roughly eleven states have these Red-Flag gun laws on the books. California was one of the first to pass such laws and as we have recently seen, they have done nothing to prevent people from committing mass murder. Florida also passed such laws last March and has seized firearms from over 450 people who have been deemed a threat to themselves or others. Unfortunately, these laws have done nothing to prevent the murderers from murdering, even with guns. They didn’t stop a shooter from shooting up a video game tournament. They also failed to stop yet another shooting at a school event where a gunman opened fire at a high school football game killing one and wounding two others. These people clearly should have been on Florida’s Red-Flag list yet, despite the new law and enforcement capabilities they went undetected. In Maryland, we witnessed the reality of Red-Flag gun laws when a sixty-one-year-old man was shot and killed by police as they tried to confiscate his firearms. In this case the request for removal was made by the mans niece, who after he was shot and killed admitted that the man was harmless and that the police didn’t need to do what they did. The police justify the shooting by claiming they don’t know just what they may have prevented by confiscating his firearms at 5 A.M. The man had no history of violent behavior but because his niece was uncomfortable, he is dead. What is most concerning about this event is that the man was attempting to resist gun confiscation-to a degree. In the Department of Homeland Security Report Right wing Extremism: Current Economic and Political Climate Fueling Resurgence in Radicalization and Recruitment gun owners concerned about an infringement of their rights are identified as potential extremists. Will this event in Maryland now be used as an excuse to portray all gun owners as potential extremists who are worried about an infringement of their rights? Probably, if you follow the logic. Many conservatives foolishly believe that as long as we control the Senate and Trump is president, our gun rights are safe. This is naïve, to say the least. Notice the part where it says, urging all states? 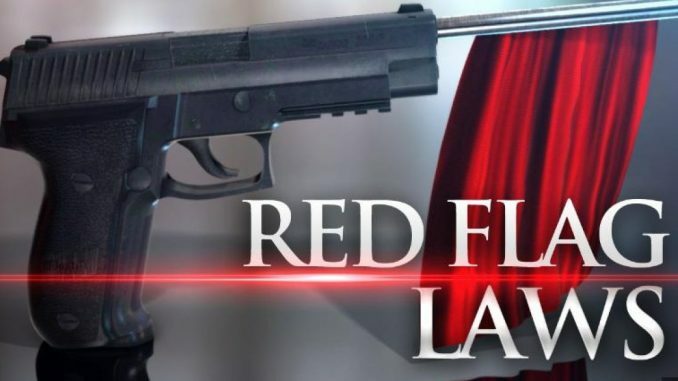 If by chance a national Red Flag law were to make it past the Senate, there is a high likelihood that it would be signed by President Trump. The fact of the matter, as we all know, is that laws, no matter how effective or logical they may seem, will not stop anyone from committing murder if that is their intent. In the UK, they are dealing with an out of control problem of murders being committed with knives and they are actually pushing for knife control! This is, of course, is occurring after the nationwide gun ban, which was instituted in the 1990s. Ironically, gun crime in the U.K. is also on the rise. I am not suggesting that people stop supporting President Trump. He is loved by millions and is perceived as doing many great things for the country. What I am suggesting, however, is that you break away from your protective bubble and realize that the man has stated his support for Red Flag gun laws and other gun control proposals that are a threat to the Second Amendment. Now is not the time to assume that because Republicans control the Senate there is no way these laws could pass. I am predicting that they will push these proposals hard and fast and they will be presented as common sense solutions. If President Trump supports them, it is likely he could get a Republican Senate to go along with them. 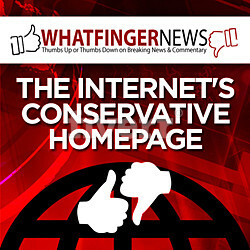 Finally, in an article published by Christianheadlines.com, Trump is quoted as saying that he has a lot in common with the Democrats that will be taking control of the House and that there is a better chance of getting legislation passed than had the GOP remained in control. Seriously? I wonder what legislation that will be? To learn more about the war on the Second Amendment check out my book: Psychopolitics in America: A Nation Under Conquest , also available in Paperback.